We would like to thank our family, our friends, and our communities near and far for the overwhelming signs of love and support, all too numerous to mention. It is like nothing we have ever seen before. I would like to share some words sent from a friend that are especially meaningful to us. Marti and I are proud to introduce Christian’s family to those who might not know them like you knew Christian. Thomas Burns. For those who knew Christian well, would you agree he was strong? Determined? Christian’s strength and determination can be abundantly seen in his oldest brother Alex. About 8 years ago I saw a scene in the front yard that I will always remember. Here was Christian in full football pads and helmet and mouth guard for the first time. There was Alex, home from college, barefoot and bare-chested playing football—not touch football—full contact without a ball, but with plenty of hitting. Grit and determination on the face of Christian, and plenty of smiles and encouragement from Alex. I know who got bruised that day. Their bond was more powerful than the physical strength they shared. Alexander Hyman Burns graduated from Valparaiso School of Law a few weeks ago and is working at the Tippecanoe Prosecutor’s Office. When he passes the bar exam late this summer he will become a deputy prosecuting attorney and a member of the Tippecanoe County Bar Association. I appreciate the members of the bench and bar here today. 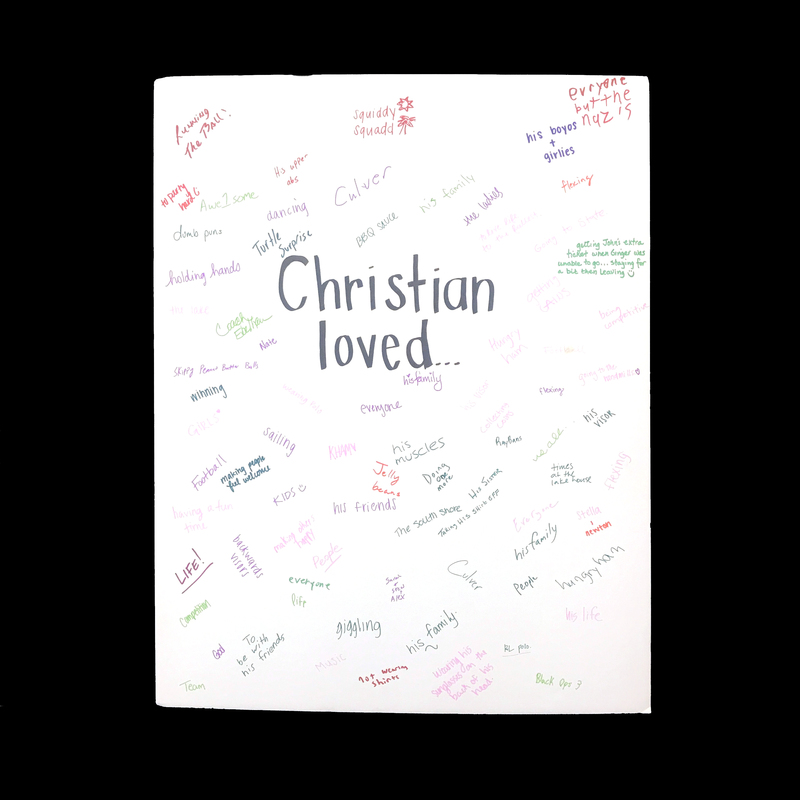 Friends of Christian. Did any of you notice any humor or comedy out of that guy? I am also told he oftern reached out and became friends with new kids or kids from other schools. Did you ever see that? Our second son Stewart Mann Burns, is the prime originator and developer of Christian’s welcoming and humorous personality. There is a charm and quick wit to Stewart, which rubbed off on Christian after years of close brotherhood. When we moved to our current house 16 years ago, Stewart gladly shared a room with his brother Christian. However, within a few years his pleasure in sharing with Christian didn’t stop Stewart from making a thick and wide dividing line of masking tape right across the carpet of their room. There was Stewart’s side—Christian’s side. As I recall, Stewart’s side did include the bathroom and a lot more area, but that made sense because Stewart was a lot bigger. Stewart, your charm and quick wit was a blessing to your brother. Stewart is a DePauw graduate now working at KSM Consulting in Indianapolis. In September he is travelling to the London School of Economics to obtain a Master’s Degree in Economic History. We will be spending Christmas together in London this year. Marti has always said of Christian, “This baby needed to be born.” So true. Five-year-old big sister Sarah was not so sure since she thought she wanted a baby sister but got Christian instead. She soon changed her mind and saw the advantage to solo sisterhood with three brothers. Sarah absorbed her baby brother in her love, surrounding him with firm but gentle big sister guidance as he grew. Piggy backing Christian by Sarah very soon reversed with the mighty and determined little boy proud to be able to give her a ride. Her arms hard around his small neck with her face warm on his ear, giggling. How could Christian not thrive and grow and gain compassion? Our Sarah Marie Burns graduated a few weeks ago from Butler and will soon be starting her job in Public Relations at Weber Shandwick in Chicago. This is the family that made him and you are the community of people which shaped him. Each person and each gift and each moment in time for 17 years. Alex, Stewart, and Sarah have some thoughts to share. 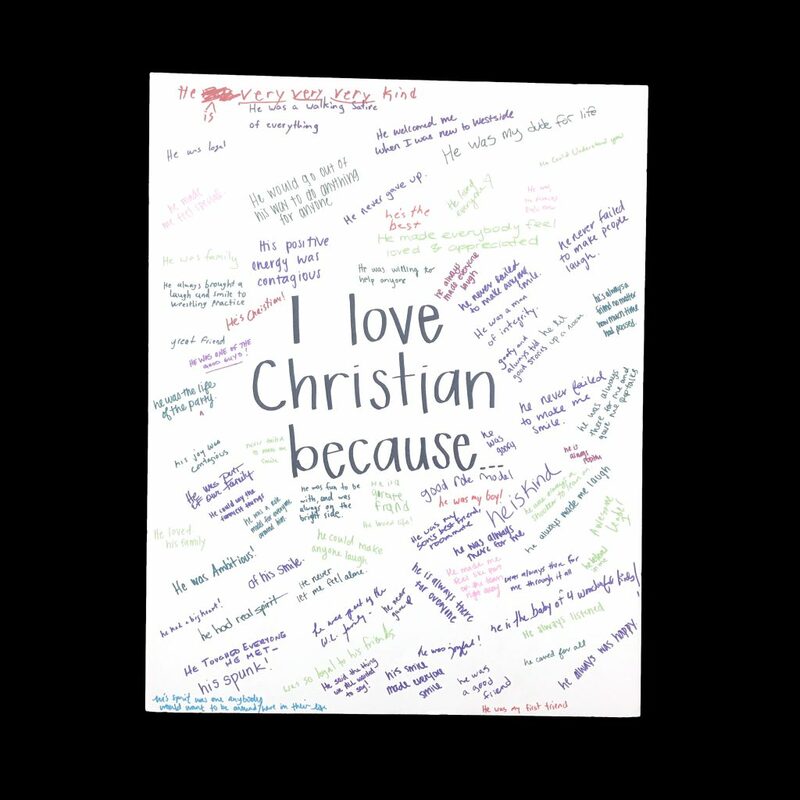 Our love for each other created Christian. Marti’s love for her son was intense, tender, and all-encompassing; from his earliest stirrings, ‘til today and beyond. Christian was a boy of faith, a fine young man and my beloved son. The entire Burns family wants to thank everyone for the prayers, kind words, hard work, good food, hugs, tears, texts, and cards. 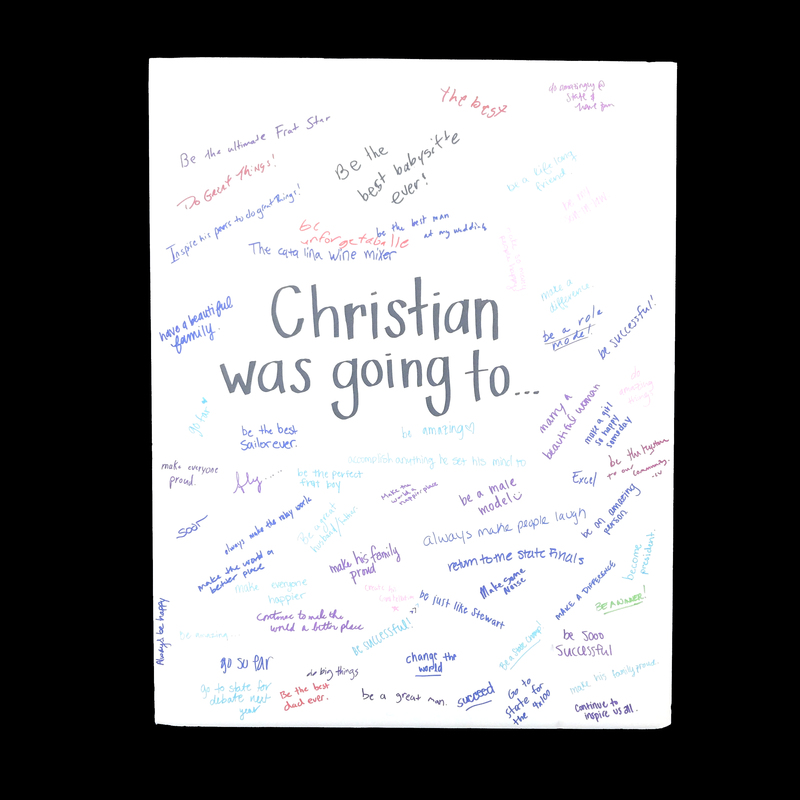 We are proud of our hometown and thankful to all, everywhere, who loved Christian. As the time for sympathy begins to fade, I ask for remembrance to begin and to stay strong. 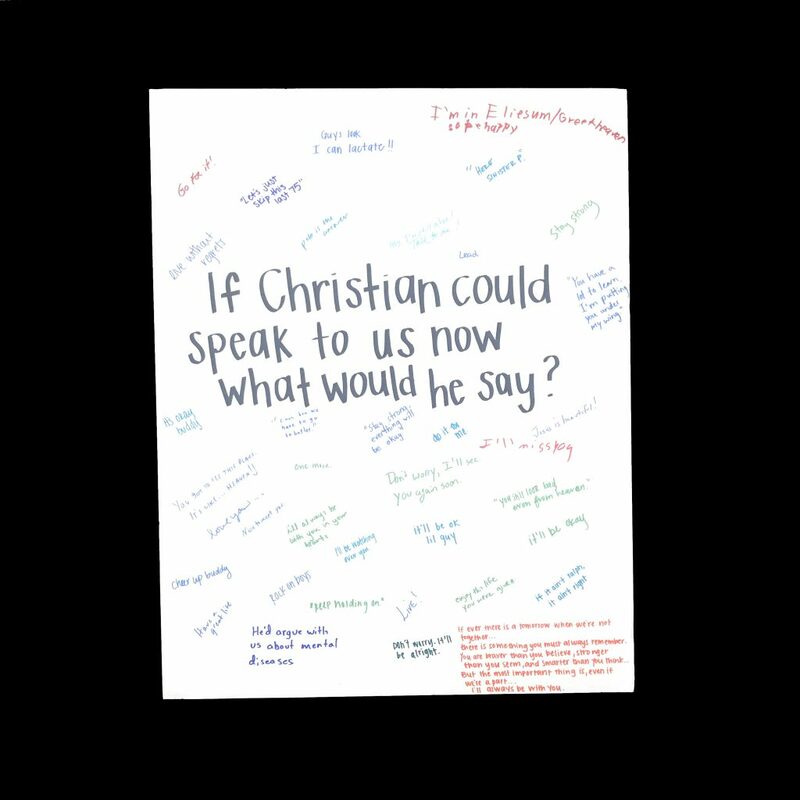 Think about Christian, talk about Christian with your friends, share your memories with us tomorrow, or next year or five years from now. 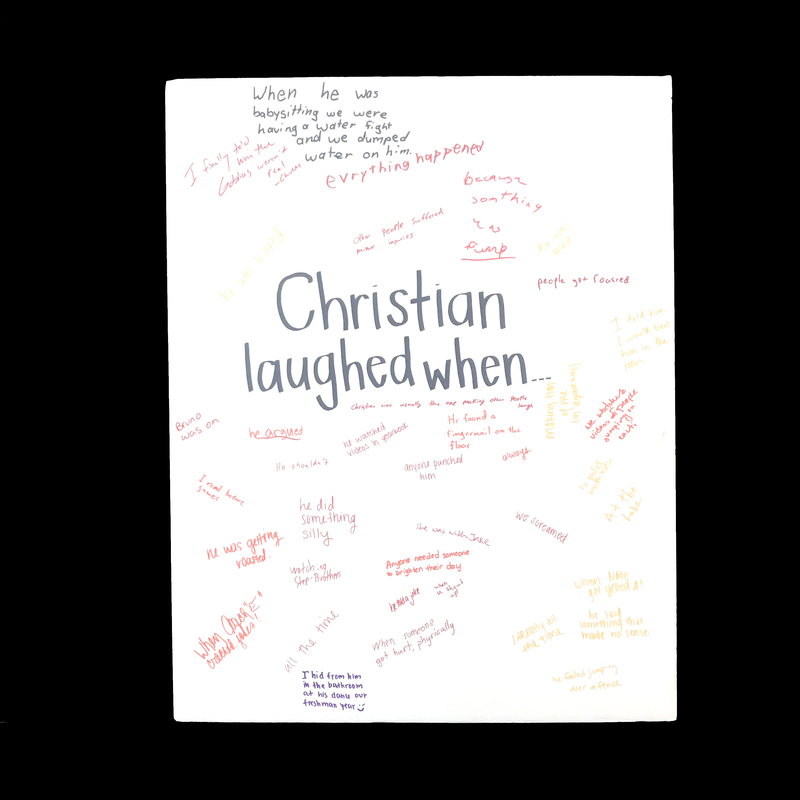 This is what you can do for Christian and his family and his friends. 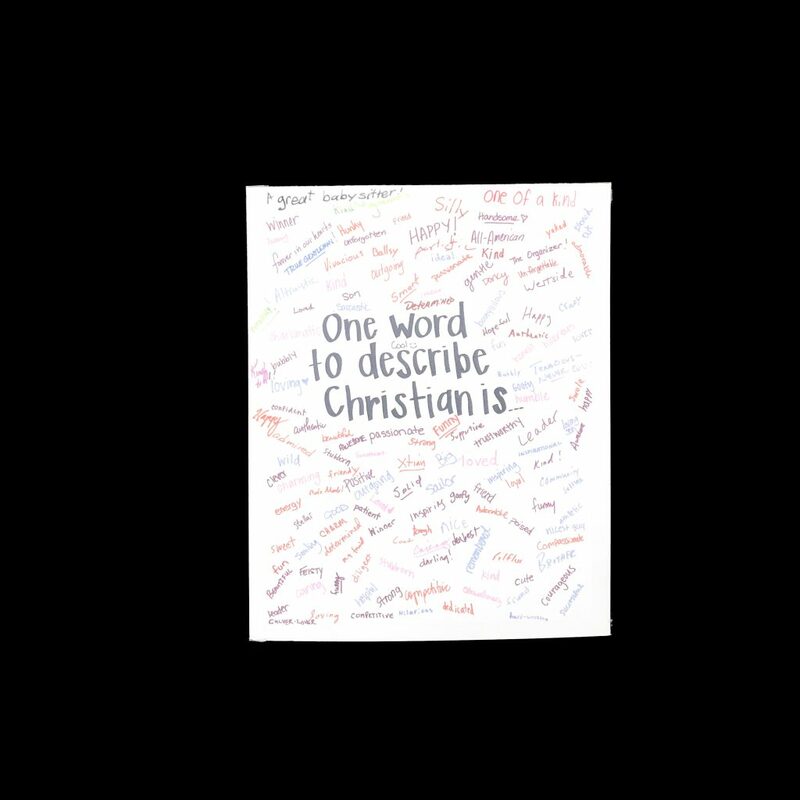 Remember to give yourself a gift from Christian also: when you are fighting through a tough challenge where hard work will win the day, dig deep, and like Christian, do ONE MORE.